If you are passionate about keeping children, young adults and even older people busy and happy, you should think towards starting your own Video Game Centre. Starting a video game centre is one of the easiest forms of business ventures to start. This is especially if your aim of starting the business is geared towards taking stress off people and making them happy. Since the invention of the first video game, tons of unique and interesting video games have been produced and more would still be produced. 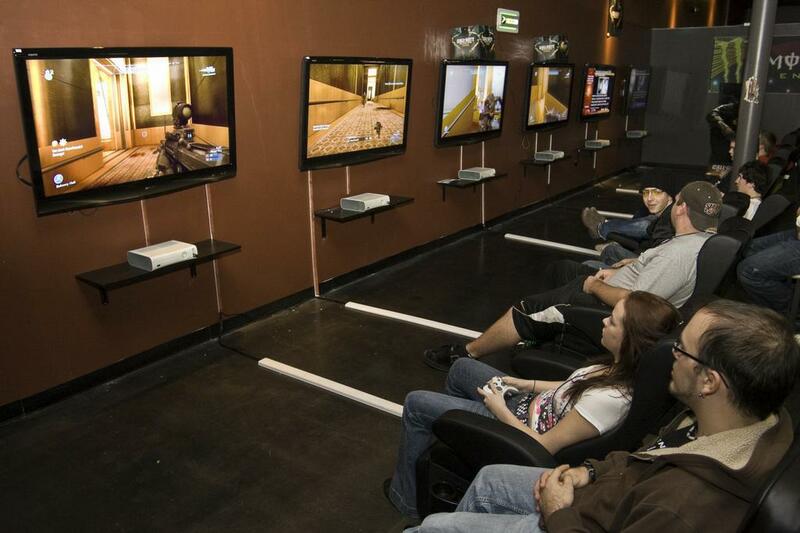 You might want to say that people prefer playing their video games in their houses – yes, you might be right. However, truth still remains that most people might not afford to keep buying new editions of video games time after time once they are released in the markets; hence the need to visit a gaming centre. Remember, people visit gaming centre not just for the reason of playing games, but also to rent latest cartridges of games that they do not have or can’t afford. You could also walk up to a gaming centre to exchange your old game box for another one at a very minimal fee. Whether you like it or not, gamers would always come to a point where the games they have no longer look interesting to them, so the need to get a new one would always come to the fore. In case you don’t know, most gaming centres start making profits within few months of establishment. So if you think this is one venture you might want to explore, here are the 7 surefire guides to starting and effectively running a video game centre you might want to consider. Let us get it straight here; starting a video gaming centre doesn’t thrive in every area. The truth is that there are certain factors that must be considered before starting your gaming centre if indeed you want to get good returns on your investment. For example, if you start your video gaming centre in a rich and highbrow area, you may struggle to convince those rich kids to come patronize you. Since they are rich, their parents could possibly afford to buy any video game of their choice for them, and besides most rich folks like protecting their wards from the public. Therefore, research has shown that the best place to start a video game business is in a middle class area. People that live in these areas can afford to pay to play video games in your centre or even rent games cartridge or exchange their old game box. Your choice of office space matters a lot. Since the idea is to create a relaxing environment where people could come pay to have fun playing the video games of their choice, it would be nice to make your gaming centre cozy and relaxing. The ambience in your centre goes a long way in determining the numbers of repeat customers you might likely attract. Be sure to look well when you want to rent a space for this game. The need for you to equip your gaming centre can’t possibly be overemphasized. This is because you need to make your business point as attractive as ever. You would need between 5 to 20 computers, Xbox stations, comfortable chairs, tables, Air Conditions, Shelve for stocking video games amongst others. You might also want to ask people who are already in the business about the gadgets you might need. Since the bulk of your customers come from the middle class, it is advisable to set prices for playing you video games on the moderate side. Don’t allow the drive to want to recoup your money fast tempt you to set prices that can scare your potential customers off. The truth is that since you are new in town, making your price a little bit lower than what is obtainable in your area goes a long way in enabling clients to be attracted to your gaming centre. Before going out there to buy and install video games in your centre, the wisest thing to do is to research and know the trendy video games, the video games that beginners like playing and even the video games that people hardly afford because of its high market price. Your choice of games could go a long way to determine the rate at which gamers visit your centre to either play video games or rent video game’s cartridges. The tendencies for gamers to gamble or create troubles in your gaming centre cannot be undermined. If indeed you want to operate a video gaming centre devoid of troubles, you just have to set your ground rules and regulations and make it obvious for all to see. For example, since you might be dealing with teenagers; when setting your rules and regulations, make sure you put the culture and general code of conducts that exist in your locality into consideration. You could ban gambling in your centre, stop people from smoking, stop people from eating in your gaming centre or even stop people from making unbearable noise or playing loud music. Although addicted gamers would always go around town looking for new gaming centres; that is not enough reason not to advertise your gaming centre. You don’t need to spend fortune to advertise your video game centre; with minimal cash you can get all the information about your centre colorfully printed in a handbill and then get them distributed in schools, summer classes, parks, Youth Clubs and even in churches. The idea is to make sure you target places where you might see teenagers. You could also place your advert for free on youth forums online. Considering these 7 hot tips before starting your video game centre means that you might be on your way to opening a great gaming centre which you will surely reap good returns on your investment within the shortest possible period from. In addition to the above stated tips, if you have been able to build a profitable video game centre, you can negotiate with Video Games manufacturing companies and you will be able to get some of the games for free or at a very reduced price.